The last game by Kotorinosu is here and it's fantasic! Amazingly creative Kotorinosu has always been among the greatest designers (do you remember Mirror Escape, Device or innovative Pixel Room? ).There was very long and silent pause after which they returned with E.X.I.T. (WE N°155); and this game is really pleasant surprise! Full size, well-designed and elegant puzzles, and perfectly logic. You find yourself in the underground room without any door, but this can't stop you! All escapers know that there are many ways how to get out from doorless rooms; it could be through walls, the floor or the ceiling. Wait for it. Meanwhile, look around and explore - everything you see can be examined and moreover, there are few small secrets. Puzzles are layered and the the whole game feels like thoughtful construction, both precise and stylish. The cursor doesn't change over active areas and the game has autosave. Check on top of the clock. Kotorinosu has locked you in an exceedingly fancy basement. Is it just a basement? You'll have to solve the puzzles to find out. You start off facing a red couch with a painting above. Lifting the couch cushions, you find that it's fastened to the wall with hinges held down by nails. To the left, there's a potted "plant" over a locked trapdoor. While looking at the plant, you can just see a metal plate on the left side of the sofa, covered in dirt and bolted down. To the right, there's a pendulum clock which is stopped. Its three equally long hands each have a different shape on the end and are controlled by the buttons below the clock face. The pendulum compartment is locked. Look under the sofa to find a banana and a hidden compartment out of reach on the wall behind. Look on top of the clock to find a brush on top. Turn right to face a silvery deer head on the wall, missing one of its antlers. Beneath that on the ground is a fireplace, and you can open up its metal grate to find a toy plane on top of the tinder. Turn right to face two half-empty shelves of items: a cactus, a ceramic bird and a moon picture. In between them, a sepia photo of a house seems to have been mirrored with a dotted line added in its middle. You can also look under the shelves, but you find nothing there. 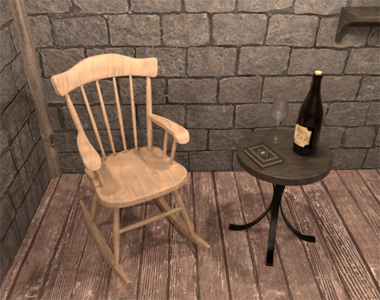 Turn right to face a rocking chair and a table with a wine bottle and glass. The table also holds a book with strange symbols on each page. On the wall behind, there's a padlocked window and a three-letter safe on the shelf. You can also look up at the ceiling fan, but you have no way to reach it or turn it on. In the ceiling behind the fan, there's a grate you can't reach. Use the brush you found on the clock to clean up the plate on the left side of the sofa, revealing another hexagonal screw at the top and some lines etched into the plate. Then use that clue to unlock the other safe in this room. The etched lines spell out lhq. So enter LHQ in the box, and open it to find a pair of shears that's tied tightly shut. The symbols in the book look like… letters? But there seems to be something else hidden among them. What is it? The symbols contain shapes that match the clock hands. For instance, the one on the last page has a circle around an X. The one on the second-last page contains a diamond shape, and removing it reveals three vertical lines: III. The one on the first page contains an upward-pointing triangle, and removing it reveals a single letter V.
So point the diamond, circle, triangle hands to III (3), X (10), V (5) by clicking the buttons that many times. Then step back and open the pendulum compartment, where a cactus toy figure seems surprised. You can also clearly see the pendulum shaped like a cogwheel with a bolt on the front. You should now have three items in your inventory that match the ones on the paired shelves. So place them on the correct shelves to solve the puzzle. Place the cactus toy on the left shelf opposite the real cactus. Place the airplane on the right shelf opposite the bird sculpture. Place the banana on the left shelf opposite the moon picture. 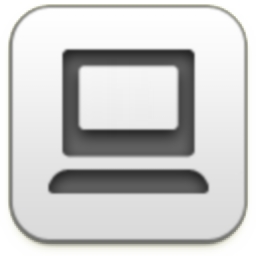 You hear a click, and backing up you notice that the symmetric photo has slid down so you can take the key behind. Move the potted plant aside, and use the key to unlock the trapdoor. Beneath, you find a crowbar. Use the crowbar to remove the nails on the couch. Now you can slide it aside to get a closer look at the hidden compartment. It's not locked, and you can remove the cover to find a mini abacus safe inside. Use the crowbar to remove the golden padlock on the wall behind the table. Then open the doors there to find a working flashlight. There's one other place to use the crowbar right now: on the grate in the ceiling. Open it up, and shine the flashlight into the darkness to find a round handle that you can pull. But it needs to be held down, and you don't have anything that works. There's one other place to use the flashlight right now: under the right shelf, where a matchbox is hidden in the darkness. Use the matches to light the fireplace. It's warm now, but there's something else the fire is good for. Use the shears in the fire to burn the twine on it. Now you can just tear it off and use the shears. All done with the fire. Let's close the fireplace grate. Do you notice something? Use the clue from the fireplace grate to unlock the abacus safe. positions, so set that code on the abacus by clicking the columns 1, 2, 0, 1, 0 times. Then open the safe to find a key. The only place this key fits is somewhere that's already unlocked. Lock the compartment behind the sofa, and pull the handle again. This time, the whole drawer slides out, with a spanner hidden in the back. Use the spanner to remove the two bolts on the bottom of the couch's metal plate. Now you can swivel it around to find a diamond key. Also use it to remove the pendulum from the clock. Use the shears on the potted plant to remove a branch. The branch fits perfectly on the deer head, which shines a laser out its left eye. Follow the laser to the wall under the symmetric photo, where it shines on a secret compartment. Inside, there's a knob you have to turn, but it seems too tough to move. Place the pendulum (gear-shaped handle) on it, and turn. You hear something unlock. So back out all the way and click the compartment again. This time, the entire wall panel slides up to reveal a storage space with a ladder in it. Use the diamond key to unlock the padlock, which you can now pick up. You're all out of clues now, and there's still that one ring in the ceiling that needs pulling. Examining the padlock, you find that you can pull the shackle away from the body. Hook it onto the ring and pull the body that's now dangling. The ceiling fan flips down, revealing the trapdoor in the ceiling! So place your ladder there and climb up. We're not done yet. The ladder leads up to the bottom of a well (storm sewer shaft? ), with broken ladder pieces on the floor along with a large bucket that hides some rope beneath, and a chest with two buttons set at different depths, and a really large rock that hides a hexagonal screwdriver. On the walls, you also notice a giant pipe on top of a much tinier drain, and a smaller pipe with closed shutters. Looking up from where you first come up, you can see more such pipes and a ladder at the very top. You can also shut the trapdoor by clicking on it, but you don't have any need to do so right now. Go back down, and use the screwdriver to remove the metal plate. Now you flip it over to find a five-digit number. So use that clue to unlock the chest upstairs. You may have noticed that the plate reads 641 when inverted. So the plate has 641 on the side with an indentation (from the screw) and 28573 on the side without. So push the buttons on the chest eight times, with the 6th, 4th and 1st time being on the right (recessed) button. That is to say, push the RLLRLRLL buttons to open the chest. The chest opens and you find a large metal handle inside with a protrusion on the back. Shut the trapdoor and place the handle on it, then turn it. The well floods with water, and so you climb into the tub to watch the water rise to the top. The water flow stops, and you float in front of an interesting clue on the wall. You can still look up at the ladder, which is tantalizingly close. Turn around to face an almost blank patch of wall. Look closer at the right side and you can find a hidden compartment which you can open with your crowbar. Inside, there's a lever that opens up all the pipes to drain the water. And so we return to the bottom again. Is there anything new to do now? Look in the now-opened pipe, using the flashlight to light it up. Inside, there's a metallic antler among the rocks. Also look up from the trapdoor. All the pipes are open, but they're not identical. Open the trapdoor and climb back down. In the basement, replace the wooden branch on the deer head with the silver antler. The deer shoots another laser out its right eye at the painting beside the clock. So click the spot indicated to remove the painting. Behind, there's a safe that has a wheel with a pointer over a row of thirteen lights. Use the clue from the pipes upstairs to unlock the safe. Looking up from the trapdoor, you see that the pipes enter alternately on the left and right sides, and they're blocked with (from top to bottom as indicated by the clue) 3, 1, 2, 3, 4 bars. So unlock the safe by clicking the left side thrice, right once, left twice, right thrice, left four times. Then open the safe to find a grappling hook. Attach the rope to the hook, then climb back up, close the trapdoor and turn on the water again. Ride the tub to the top, look up, and throw the hook onto the ladder. Climb itto the exit, and you're free! you need to interact with the same objects/puzzles in different ways throughout the game. There were some really clever and original puzzles. Five mushrooms! This one was almost Neutral-worthy. Excellent! 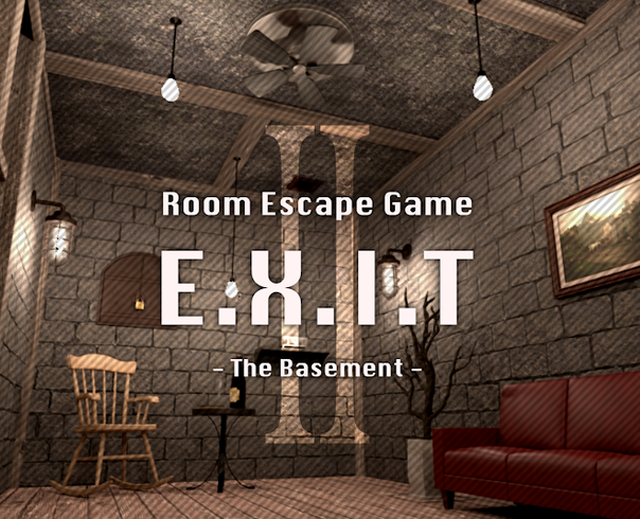 So few of the great designers are still making escape games, so I'm very happy to see this one. It is cleverly done. Unscrew. Can someone tell me how you worked out how many times to depress which buttons from the clues? Because even after being given the answer I've no idea. You have to notice that 641 (from the front inverted) and 28573 (from the back) are number clues that don't share any digits. Look at which digits they contain: 1 to 8 in order, each one exactly once between them. So combined, they point to an order of buttons. As in the walkthrough, you can guess that 641 corresponds to Down (the right button) and 28573 to Up (the left). Hello all, and kk, I know I've been missing so to speak for a few months and I apologize about that. Anyway as I saw people posting on this game recently, I just want to say that I'm probably the only one for this game having issues as in IE it never loads, most likely because it is WebGL based, and IE can't load it, but I get the loading screen anyway but it only goes so far. So I tried it in Chrome and I get the same result with the loading bar. So I tried it again in Firefox and this time it went 100% but now I an staring at a blank screen. I don't know what this is about. Usually Chrome will always work on a game if IE doesn't. Anyone know what is going on? Hello Paul, I tried in Chrome and Firefox now and both browsers work on my PC. The game loads slowly (in Chrome slowlier) and when it's loaded, Unity loading bar disappears, the screen is black for quite a long moment (in Chrome about 1 minute)and then the game starts. Maybe just wait for a while?